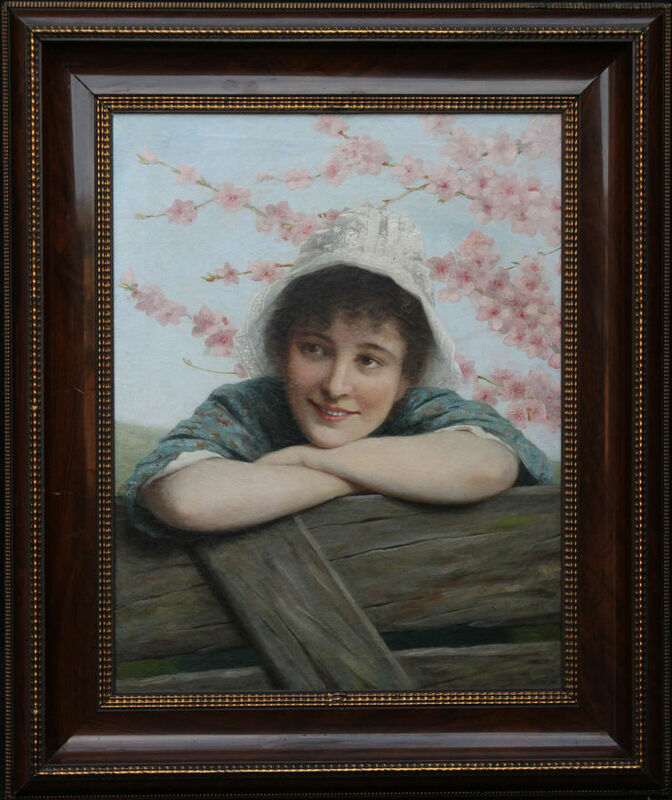 An original oil on canvas by German listed artist Ernest Anders. 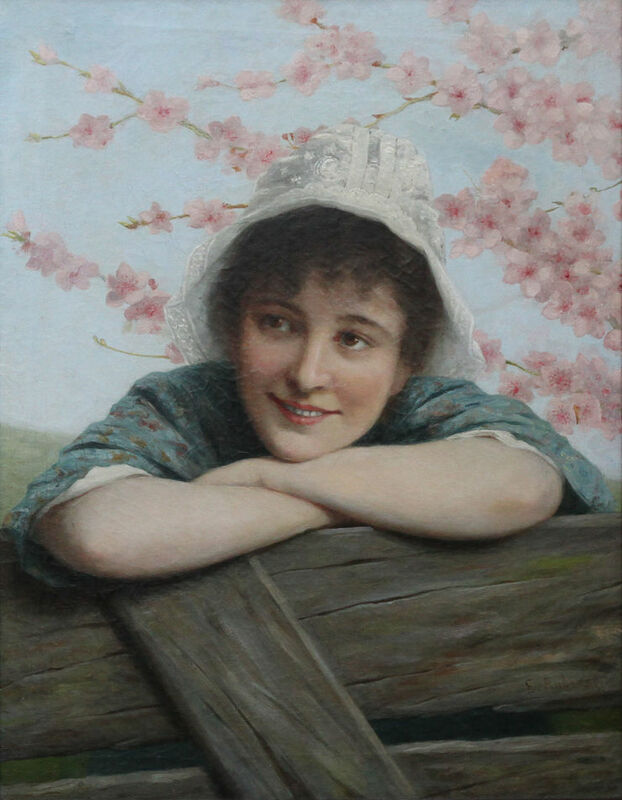 The genre portrait of a pretty young girl under pink blossom dates to circa 1890. It is a beautiful painting and housed in a stunning period frame. Signed right. Wood frame of the period, 29 inches by 24 inches. Ernst Anders (1845-1911) was a German painter. He began his artistic education as a private student of Andreas Müller then, in 1863, enrolled at the Kunstakademie Düsseldorf, where he studied with Rudolf Wiegmann, Heinrich Mücke, Karl Ferdinand Sohn and Julius Roeting. From 1868 to 1872, he was a private student of Wilhelm Sohn. Most of his paintings were genre scenes, but he made his living painting portraits, including many of his fellow artists.